This is a secret used by professionals and small and medium sized business owners have not yet mastered it. Though the large companies will spend a lot of money in market studies, it does not necessarily mean that you have to spend a fortune to get results. You should just make efforts to understand your audience and see through their eyes to know what they would want to see on a website. With that said, consider your website as a gift to the consumers. This will let you provide helpful information instead of talking about prices, goods and services. Speak to them and they will be interested in doing business with you. 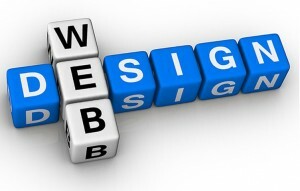 Website design is not about the layout and the navigation only, it is also about content. When designing a website, create pages and contents that your target consumers can associate with. Use normal language and avoid the high–tech and industrial lingo that might confuse the visitors. Do your best to make it as easy as possible for the visitors to get your message and still be relevant to your line of operation. Most business owners focus on passing the message using words that they forget about other means of communication to the audience. A website that is full of text, no matter how useful it is will appear bland and boring and no one will want to stay and read. There are quite a number of ways to make the design more interesting and one of them is through the use of images and videos. You can upload relevant images that are of great quality and interesting to look at. They should also carry a message to the audience and be incorporated in the text to enhance the audience’s experience while visiting your site. As the world of technology becomes more advanced, people are getting drawn to simplicity. No one wants to spend time trying to figure out anything especially when they have options. In this case, if your web design appears complicated, people will seek better options which will most probably belong to your direct competitors. Flashing features and other extras will not increase the enjoyment of the visitors and will ultimately slow down the loading process. Users are not very patient and when they have to wait for some time for your web pages to load they will leave. Be straightforward and they will spend time getting the information they require. Studies have shown that only a few people read the text in a website, the rest just scan through to find something relevant. You should be in a position to attract their attention by being brief and arranging your pages in a presentable manner. This way they will go straight to the info they need.